It is widely acknowledged that medical imaging must be accessible to all relevant caregivers. The Office of the National Coordinator for Health Information Technology's (ONC) recently released version 1.0 of its Shared Nationwide Interoperability Roadmap acknowledges that "efficient and effective sharing and use of electronic health information when and where it is needed is an important contributor to improving health outcomes, improving health care quality, and lowering health care costs." In addition, mandates to reduce unnecessary repeat imaging and X-ray dose are driving the need for access to historical imaging studies in a unified and efficient manner. 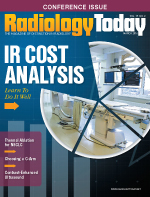 Yet I have found that, while most radiology departments have made significant progress capturing and organizing medical images, the solutions that manage these functions remain largely fragmented within organizational silos and technologic gaps. Many departments are adopting a centralized storage and distribution model that utilizes a vendor neutral archive (VNA) to help the organization achieve its long-term IT consolidation goals. However, a VNA should not be expected to solve all the organization's imaging workflow and data normalization needs. Unless those image management issues are addressed, they can hold the effort back. I see several evolving health care delivery patterns that make it more challenging to share medical imaging across the enterprise. First, patients' historical imaging studies are likely to come from multiple facilities with varying patient identification schemes. Even slight differences in the way the same patient is identified can challenge PACS and hinder the radiologists' ability to retrieve all relevant studies. Second, as more providers accept that medical images are an important part of health care delivery, they create unique clinical imaging workflow requirements. For example, new telemedicine services rely on the timely availability of imaging studies acquired remotely. Health care organizations can reduce costs and improve productivity by identifying and automating clinical imaging workflow as much as possible, especially processes that remain manual. Providers must explore strategies to simplify the tangle of clinical IT systems needed to address these issues. Many organizations still rely upon manual processes to solve unique and complex workflow challenges. Too many technologists are moving pieces of paper, printing things out, faxing reports, or manually entering patient data into a modality. When a facility can't get data from point A to point B without someone on staff intervening, it's a problem. Organizations need to implement software that can reduce fragmentation and allow them to collect, move, and present all their data without disruptions. I suggest that organizations start by identifying the manual solutions that have become part of their department's everyday operations. These manual workarounds must be identified and understood before they can be replaced with reliable, automated IT systems and processes. When a small community hospital in the Southwest was migrating five PACS into one state-of-the-art archiving system that was vendor neutral, it thought that by implementing a master patient index all the files would be properly named and accessible to the radiologists. But there were enough variations in the way the patients' files were named that not all of the prior studies were being retrieved on the new PACS. A week after the system went live, the hospital realized it needed software to enable the new system to identify all prior images for a given patient regardless of the way their names were spelled or abbreviated. The software ensured that all the appropriate scans were presented to the radiologists in a timely manner even though they may have originated across different clinical IT systems. The administrator had only to instruct the system to look for matches once; in the future, it would be done automatically for that patient. There still may be some manual intervention necessary, but it is significantly minimized because the software does most of the matching for the department. Implementing the software at the same time as the VNA system prevents issues that could disrupt workflow and make a move to a new PACS a nightmare. Software also helped to expedite the exchange of medical images within the hospital and to remote clinicians. A Midwest community hospital wanted to establish a stroke service. To be accredited as a comprehensive stroke center, it needed to be able to send patient images to its PACS so its radiologists and neurologists could read them immediately. In addition, the current and prior patient images were automatically forwarded to a teleneurology service provider to provide backend support. Having to manually push the images was time-consuming and couldn't guarantee that the stroke center would meet all the stringent timing requirements needed for accreditation. Software was installed to automate the processes. The software ensured that the center's CT scanner would send the images to the local PACS immediately and, if it's a stroke case, to the offsite teleneurologist, who is geographically remote. Without the automation, the center would have to employ full-time 24/7 neuroradiology coverage. These are but two examples of why enterprise medical imaging workflow—both inside and outside radiology—must be understood, documented, and addressed concurrent to the adoption of a new enterprise imaging IT strategy. Identifying and understanding manual workflow scenarios can be complex. Replacing them with automated workflow solutions can significantly improve productivity, quality of care, and customer service while reducing medical errors. — Mark M. Blair is president and CEO of Laurel Bridge Software, Inc in Newark, Delaware.